We all know we're in the middle of an economic downturn. The news is full of statistics on job loss and unemployment. Everyone is feeling the crunch. In times like this it's natural to worry about your career. But you don't have to be afraid. With the right steps, it's possible to not only succeed in this environment but to succeed radically, as well as be prepared if the axe should fall. This webcast is about how to set yourself up for now and the future. Career experts and authors Andy Lester and Chad Fowler will walk you through strategies for preparing yourself to not only stay employed but to find the work you love. 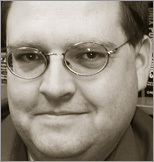 Chad Fowler is an internationally known software developer, trainer, manager, speaker, and musician. Over the past decade he has worked with some of the world's largest companies and most admired software developers. He loves to program computers and, as part of his role as CTO of InfoEther, Inc., spends much of his time solving hard problems for customers in the Ruby language. 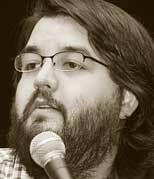 He is co-organizer of RubyConf, RailsConf, and RailsConf Europe and author or co-author of a number of popular software books.